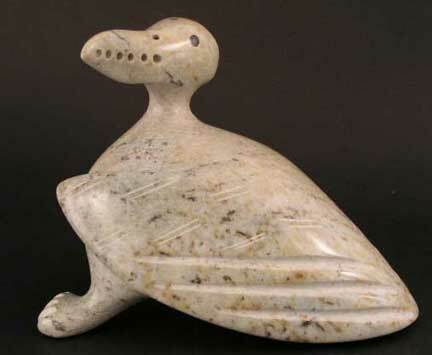 This energetic bird is carved from beautiful blue/gray/beige/mottled Brazilian soapstone. 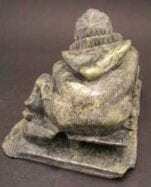 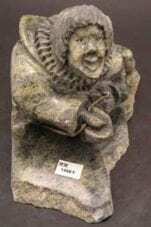 A finely carved sculpture with great detail. 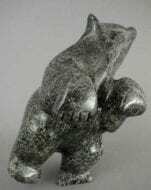 A very dynamic composition. 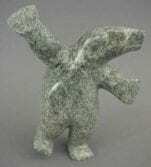 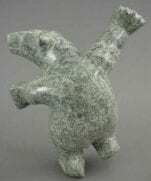 8" x 5 1/2" x 5"
A lively bear carved from light green mottled serpentine. 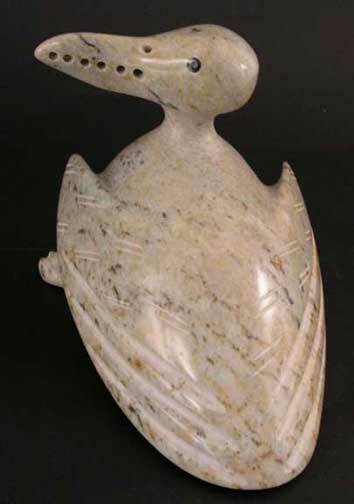 8 1/4" x 7 1/4" x 2 3/4"